Whenever I sit down at my desk to write, I can see a pin that a friend gave me with the words John Steinbeck is my hero on it. It’s hooked to the side of a Paddywax library candle named for that writer, which was given to me by another friend. I hope Steinbeck really smelled like smoked birch and amber. Once in an icebreaker, asked what I would be if I were a scent, I said, “Well, this is going to sound weird, but my John Steinbeck flavored candle.” See, I can manage to work this guy into any conversation. You’re planning a road trip? You should definitely bring along Travels with Charley, the quintessential road trip book (see ya, On the Road!) You think your neighbors are good at embarrassing you? Well, you should see what Doc’s friends put him through in Cannery Row and Sweet Thursday. And if it seems that your family can be dysfunctional at times, at least your sociopath mother didn’t shoot your father when you were a newborn and run away to operate a brothel, à la East of Eden. When you think about it, there really is a Steinbeck work for everyone. Trust me, you’ll enjoy him more now than you did in your high school English class. Last fall, I wrote a research paper on East of Eden for my 20th-century American novel class, the title of which began with “Exiles Searching for Paradise.” 5,000 words later, if you stripped away everything else I wrote, I think what you would be left with is the overwhelming understanding that Steinbeck knew deeply how we, as humans, are all exiles. We are the outcasts thrown out of Eden, and we’re working up the courage to find home, to come to it, to return to a paradise we feel we once belonged to. What characterizes this essential theme running throughout a majority of Steinbeck’s work is his characters’ inability to find Eden. That’s what makes them Steinbeckian. It’s also what made him, well, him. His body of work is a testimony to the joy of the struggle and the search, his lifelong pursuit for the “‘land of our sojournings’” (Genesis 17:8) embodied nowhere more than in himself. Literary critic Robert DeMott wrote, “. . . When I touched East of Eden for the first time, I seemed to have touched the man himself” (Steinbeck’s Typewriter 284). Maybe you have another writer, someone entirely different, in your mind as you’re reading this. I hope you do. I strongly believe that writer exists for everyone. The one whose prose catches your breath, who distills the beauty of the world into language, who, no matter how many years later, you come back to again and again—you come home. Their struggle is your own, but more importantly, their joys are your joys, because someone to share in your joys—even someone you never meet, possibly separated from you by many years—is a sense of belonging in itself. The thought of a writer you love is like an old friend who isn’t bound by rules of memory or distance or time, and when you read their work, you’re in the hunt together. We may be exiles, but we are not alone. If someone asked me, “Which writers have influenced your writing style the most?,” I would answer, “Toni Morrison and William Faulkner.” But then if someone else asked me, “Who’s your favorite writer?,” I’d say, “John Steinbeck,” without even thinking about it, because I think you know why by now. Well, Tom Joad’s line to his mother near the end of The Grapes of Wrath: “Says he foun’ he jus’ got a little piece of a great big soul. Says a wilderness ain’t no good, ‘cause his little piece of a soul wasn’t no good ‘less it was with the rest, an’ was whole” (The Grapes of Wrath 418). Yeah, that’s why. 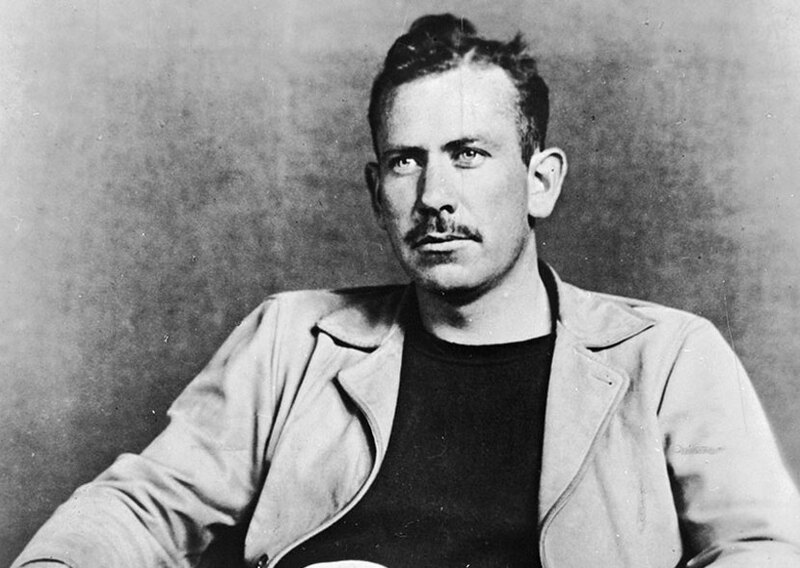 John Steinbeck left Stanford University in 1925 at the age of 23, without a degree, after six years of classes. He’s one of many examples in literature and art of the impossibility of being taught certain things. For instance, how to write about coming home. That’s something you just know. Happy 116th birthday to you today, Mr. Steinbeck. You’re still the man. And man, have you still got it. 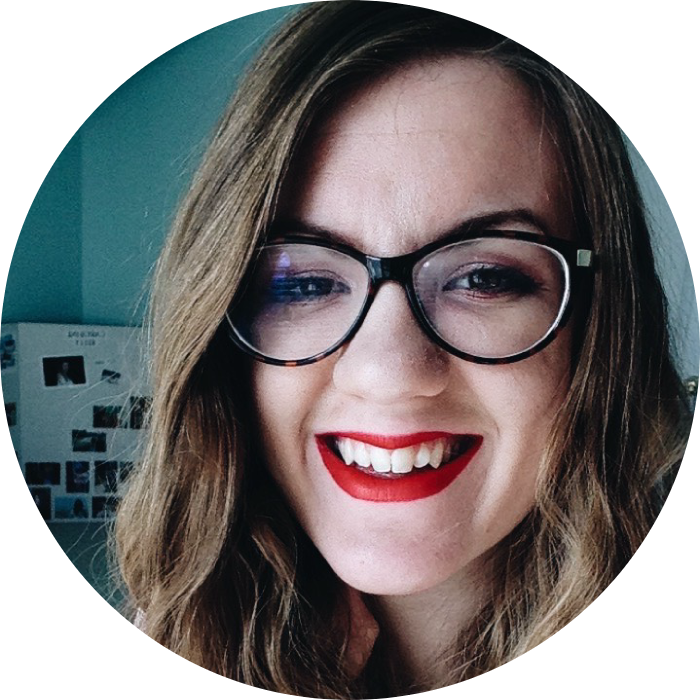 Caroline Kelly is a college senior in North Carolina, majoring in English with an unofficial focus in American literature and interning in the editorial department at Our State magazine. She looks forward to graduating in May and to well-done Steinbeck film adaptations with near-equal enthusiasm. Career aspirations, realistic and otherwise, include museum curator, auto-racing journalist, U.S. Marshal, and professional novelist. You can follow her on Instagram.